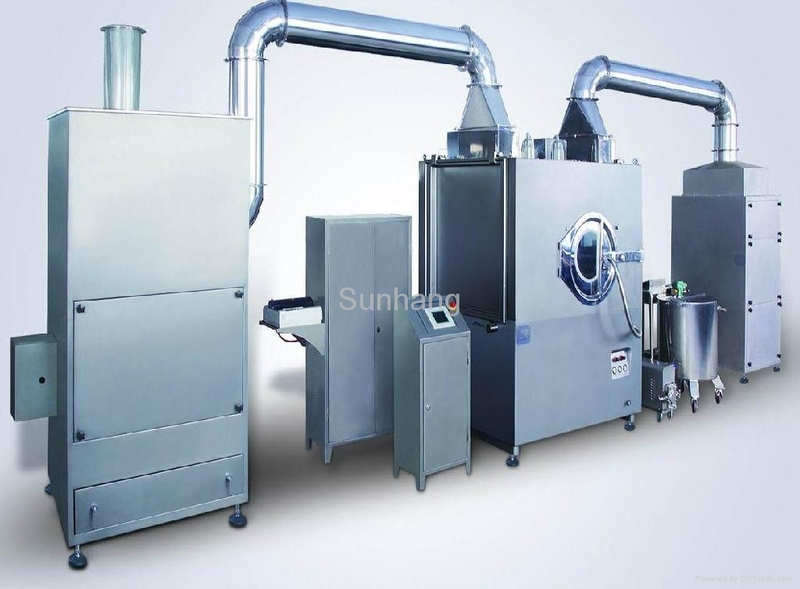 High Efficiency Intelligent Film Coating Machine was developed on the imported equipment in 1992 and has been placed on the list of the Sin-tech Spark Project of Zhe jiang. In 1995, this product passed the provincial level technical appraisal of new products, was awarded the Scientific and Technological Improvement. 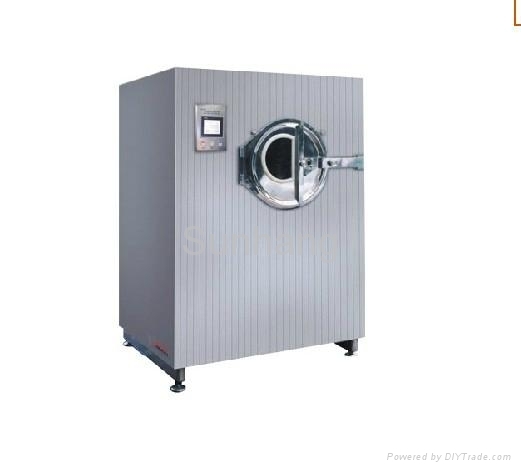 Award and also recommended as the Brand -new and Quality High-tech Product and National New P\product of 1995. In July 2002, it passed GMP appraisal by State Economy & Trade Committee and the certification of EU. Until now it has been exported to such regions as Europe, Australia, South America, Middle East, Middle Asia, south Asia and Southeast Asia, etc. 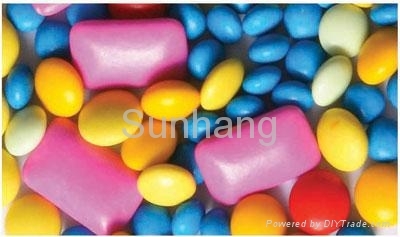 And it can be widely used for coating various tablets, pills and sweets with organic film, water-soluble film and sugar film etc. In such fields as of pharmaceutical, food and biological products etc.